The M/Y Rumbera, a sports fishing yacht built by Sea Force IX, recently had WESMAR’s new DSP5000 Digital Stabilizers installed. 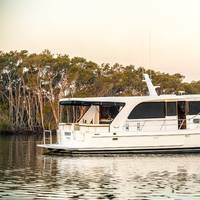 Owner, Captain Scott Nichols, was so pleased with the smooth ride provided by the WESMAR stabilizers on his previous motor yacht that when he purchased his new sports fishing yacht, Rumbera, he wanted the same system. What Captain Nichols got however, was WESMAR’s newest DSP5000 Stabilizer, a digital system that has been receiving strong reviews for its quiet, precise stabilization provided in all sea conditions and at all speeds. Press Release - A WESMAR sonar is on one of the world’s most elegant megayachts, and one that will be featured at the Monaco Yacht Show September 23-26. 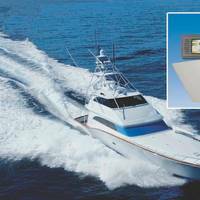 Sonar for navigation and security is growing in popularity onboard large yachts and excursion boats, says WESMAR (Western Marine Electronics) leading US marine electronics company. 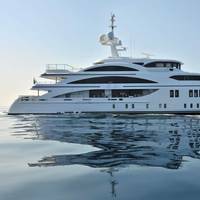 The 207-foot (63 meter) Benetti super yacht was commissioned in August by legendary Italian boat builder Benetti. She has a WESMAR Model EV850/110 kHz-10 sonar on. 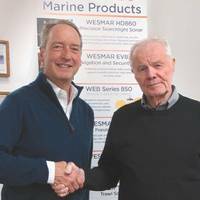 Maritime security company MAST announced it has formed a new partnership with marine sonar systems provider WESMAR with the goal of protecting super yachts and the maritime industry from security risks. Phil Cable, CEO of MAST, commented, “Global threats to assets and personnel operating in the maritime environment are complex and continually evolving. MAST said it has been developing and designing bespoke security packages for the maritime industry and global yacht clients since 2008, and is regularly called upon to advise, design and install security systems on yachts, ships or marine installations. 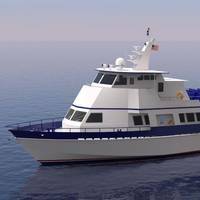 WESMAR, a U.S.
WESMAR will display several new products at the Pacific Marine Expo (PME), which opens today and runs through Friday in Seattle at Century Link Field Event Center. On display will be the company’s new BioLight option to WESMAR’s Smart Trawl sleds; the all stainless steel dual prop counter rotating commercial fishing bow thrusters; an array of E-Bait a new product line designed for commercial fishing and being introduced by WESMAR’s Electronic Bait Division; and the company’s commercial fishing sonar. 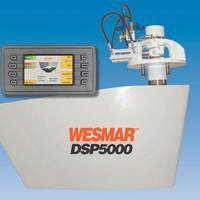 “The 500 kHz smart sleds give extremely detailed discrimination near the bottom,” said WESMAR’s Dennis Soderberg. WESMAR President Bruce H. Blakey today released a statement saying the company has formed an Electronic Bait Division. The new division announcement was made in preparation for the launch of its Electronic Bait (E-Bait) line of products this Fall. “The Electronic-Bait Division will be introducing a line of E-Bait that uses specially designed circuitry to optically mimic bioluminescence of underwater creatures, attracting catch to traps, pots, sleds, nets and hooks in such operations as crabbing, long lining, squid and shrimp fishing,” Blakey said. WESMAR (Western Marine Electronics) will feature their At Anchor digital stabilizer systems at the Fort Lauderdale Boat Show, Oct. 25-29, 2012, in Florida. The At Anchor technology is designed to monitor incoming swells and automatically control fin movement to reduce vessel roll up to 90% for luxury yachts, charter boats, super yachts, and commercial vessels. “The At Anchor system changes the dynamics of roll fin stabilization by using advanced digital signal processing and a proprietary gyro to predict vessel behavior. 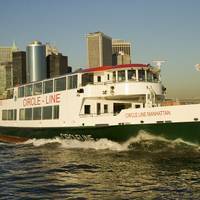 The system memorizes roll characteristics of a boat in order to preempt rolling.